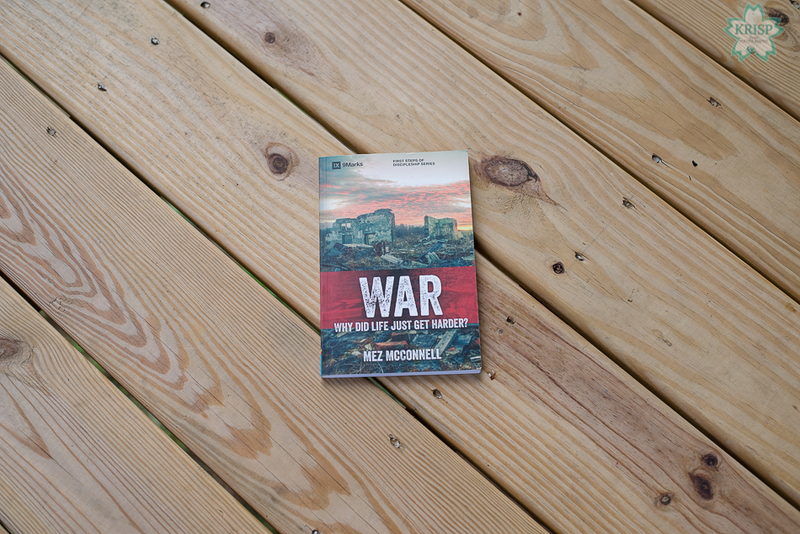 In War by Mez McConnell, the main character, Joe, has just turned his life over to Christ after having to spend a small amount of time in jail. The story of Joe is used to move from point to point in the book. The book is a non-fiction, Christian, “self-help” book; in actuality it’s a guide to help any person who is considering becoming a Christian, those who have recently become Christians, those rededicating their lives as well as those who have been Christians for a long time. 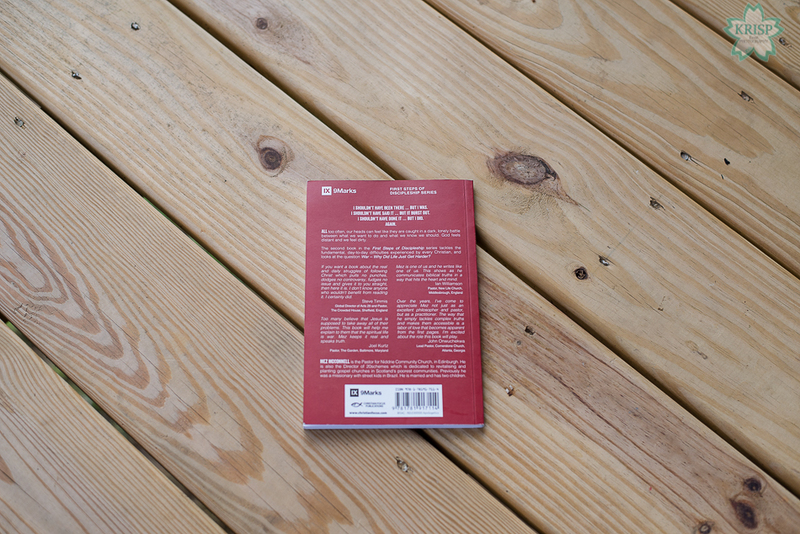 The book’s purpose is to help Christians become disciples of God, then make disciples of God. It is one book in a series that works to help Christian prepare to be a disciple or follower of Christ or to go make disciples of Christ. The author begins the book by explaining that after Joe gave his life to Christ, he has been struggling with numerous temptations and that life has been considerably harder for him. He’s having trouble understanding why and that’s where our author comes in to help. The author uses this opportunity to tell the reader that any person who chooses to be a Christian – who willingly accepts Jesus as Lord and savior, enters a war. Not just any war either, a spiritual war between God and Satan; and it’s happening all around us every day. McConnell explains that the Devil lost the fight to Jesus years (centuries) ago when Jesus rose from the dead three days after being crucified. The author provides the analogy of a dog on a leash; he compares Satan to the dog and God is the leash. If we avoid the dog despite his being on a leash, we’re less likely to get harmed, however, if we go over to mess with the dog, then we are liable to get bit despite the dog being on a leash. This is true of how we interact with Satan and he with us. Basically, since Satan has already lost and knows it, he is doing the best he can to ruin everything and everyone he can before he is gone. A scorched earth policy to cause the most amount of damage possible. Since this is war, each individual Christian needs a battleplan and to put on the full armor of God. The Devil is like a dog on a leash; leave it alone and you won’t get bit! Know your enemy and your general or leader. The author also gives tips and advice on how to fight the battle. To defeat the Devil, the battle MUST be fought and won in the mind. This means that we must know God’s word and pray all of the time. We need to spend time with other Christians to discuss the word for deeper understanding, to pray to God for help, to encourage each other and receive encouragement. Christians should help each other be effective disciples for Christ. The book is not very long – only 105 pages, but it is packed with useful information about becoming a Christian, how one’s life changes because of that decision, and what scripture (or God) says about the battle we have to participate in. My dad recommended this book to me and loaned it to me to read; I have not searched for this book in libraries and it doesn’t seem as though it is available for purchase yet. My dad got his copy by attending a workshop or seminar. I do recommend this book to any person who falls into any of the categories I listed at the start of this review. I also recommend the book to anyone curious about what it’s like to become a Christian and the types of struggles we face all the time. If you would like to own a copy of the book, like I do, or if you just need to purchase a copy to read it, you can pre-order a copy at Barnes and Noble for $8.99 ($8.17 for Members) or Amazon for $8.17 (a Prime item too! ).